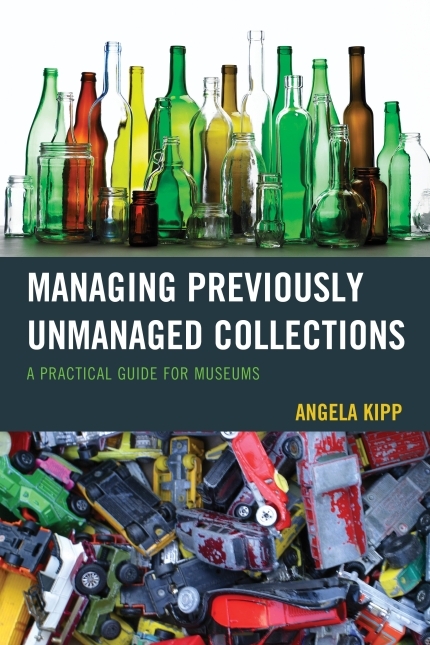 As you know, I was taken a little by surprise by the publishing of “Managing Previously Unmanaged Collections”. Now, after I recovered, I’d like to celebrate with you, the readers of this blog and faithful supporters. I thought I’d compile a couple of “outtakes”, things and stories that didn’t make it into the book. I received a few compliments for the cover. Thanks a lot. Actually, the first cover looked a little different, as you can see in the picture. I experimented with alternative pictures when Bernd, my colleague and significant other said “You know what? I think we can do it better!” A couple of hours later we were equipped with a collection of old toy cars, archival materials and camera equipment. We experimented with different setups which, quite to our surprise, revealed that a bunch of cars bagged and labeled looked a lot more chaotic than a line of cars without labels. So we ended up with the “parking lot of toy cars” you now see on the cover. For those who desperately tried to match the cars of the picture below the title with the ones above: sorry, the upper ones are German while the lower ones are probably from the U.S. – and they never met each other. There were a lot of awesome stories about unmanaged collections I heard along the way and I would have loved to publish them all. However, it didn’t always work out. Sometimes there was a change in upper management and people didn’t get permission, sometimes the work contracts ran out before the submission was approved, sometimes life just got in the way in some other form. I hope that I can publish some of these stories here on the blog some time in the future. 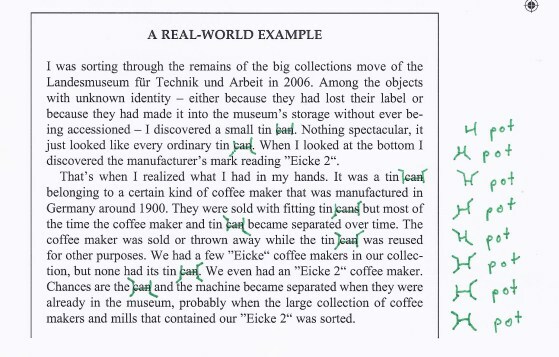 This person was interviewing for a position to manage an unmanaged collection. 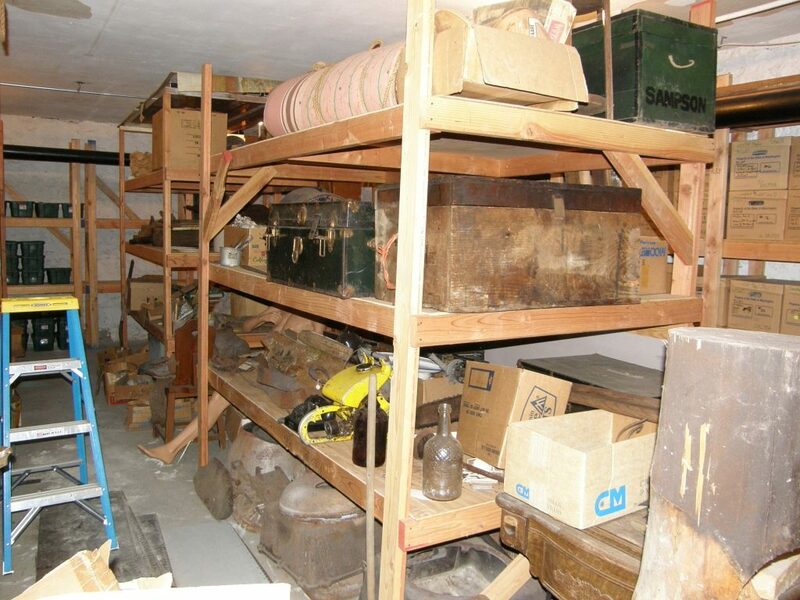 When they showed him/her the collection that was, as far as I recall, a shack crammed with objects from roof to floor he/she exclaimed “What the f**k? ?” Out loud in front of the people responsible for hiring. And got the job. Then, as I was collecting real-life stories I found many colleagues actually had pictures. Unfortunately now I already told some contributors that I don’t need pictures… I did what I always do when in doubt: I sent a mail to the RC-AAM listserv. I asked if anyone was willing to share their before/after pictures from their collections. 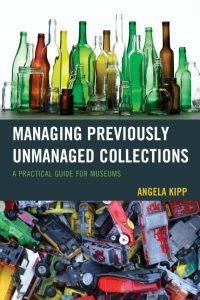 I was delighted to receive a whole bunch of awesome unmanaged collections that became managed and most of them made it in the book. That mannequin leg sticking out from between the shelves says all about unmanaged collections doesn’t it? The use of wood shelvihg surprised me. I am working on replacing wood with metal sheving. Am I wasting time and money? No, by all means, use metal shelving if you can. This is definitely a “before” picture.